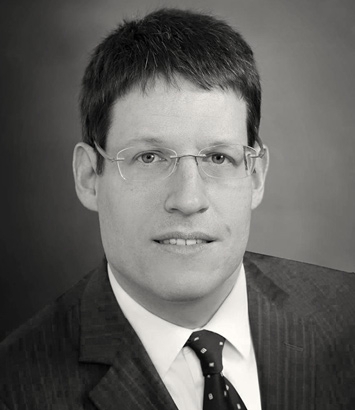 Fabian Koenigbauer is an intellectual property attorney in Dinsmore's Washington, DC office. Fabian practices all aspects of domestic and international patent law. He helps clients protect, patent and commercialize inventions, with a focus on the life sciences. He assists clients at all stages of development, including products in pre-clinical trials and clinical trials. He also helps clients assert their patent rights and defend against infringement allegations. He manages global patent portfolios for his clients, prepares, files and prosecutes domestic and foreign patent applications. As part of his domestic patent practice, he routinely devises strategies for clients to maximize patent term adjustment. On behalf his clients, he has directed foreign counsel in European oral proceedings, patent appeals in multiple jurisdictions, including China, Brazil, Japan, Korea and India, and oppositions. He also prepares invalidity, non-infringement, freedom-to-operate and patentability opinions. Fabian participates in intellectual property transactions, such as due diligences, and in strategic intellectual property counseling including portfolio development, licensing and litigation. As part of his transactional work, he routinely helps assess the strengths and weaknesses of global patent portfolios and uses this information to guide decision-making. He also assists with patent litigations. His litigation experience encompasses all aspects of patent litigation from pre-litigation investigations through discovery, trial and appeals to the Federal Circuit. Along with providing technical analysis in litigations, Fabian has prepared witnesses for depositions and trial, drafted discovery pleadings and summary judgment briefings, and assisted in drafting Federal Circuit briefs. He has also worked closely with clients and foreign counsel in developing global litigation strategies and post-grant proceedings. Fabian advises clients ranging from small companies and start-ups to Fortune 100 companies. His technical knowledge encompasses biochemistry and biotechnology (vaccines, biologics, stem cells, molecular biology), as well as pharmaceuticals, medical devices and consumer products.